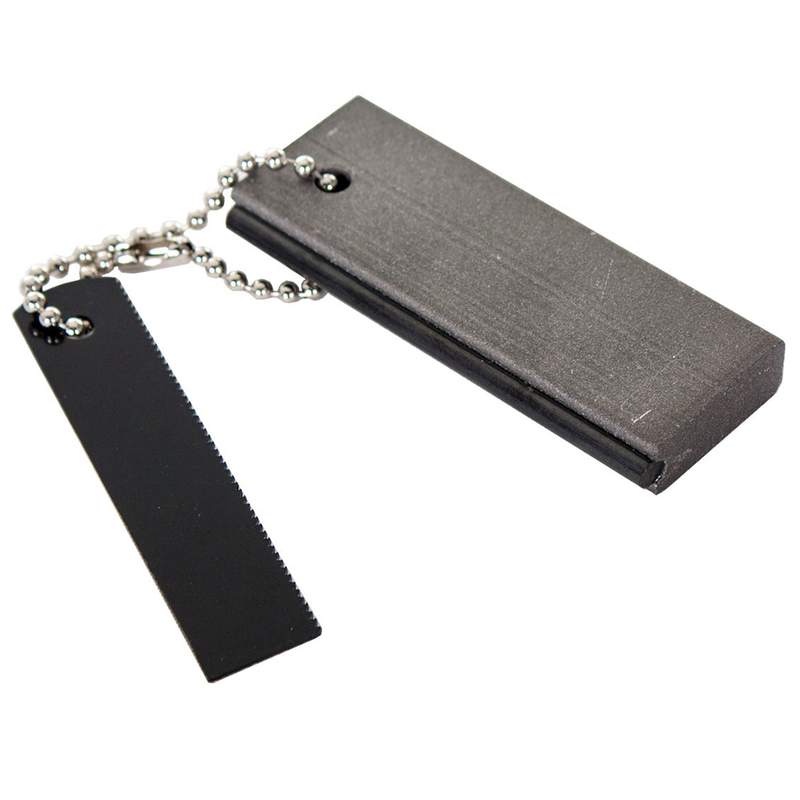 3" x 0.5" x 1"
With this magnesium fire starter it’s easy to get a fire started. It has a built-in strike bar and connected striker rod. A fire can be started even when the starter is wet! This starter will last 100 (or more) fire starts. To use, simply shave off filings of the magnesium block, place them in a pile (about the size of a marble), and scrape the striker wand down the strike bar toward the pile of magnesium. The sparks will ignite the magnesium shavings and will burn at temperatures over a thousand degrees.